The Killdeer eggs at my coworker Andrea’s sister’s house have hatched! Well, three of the four have so far, and a couple of days early too. The heat that reached the nineties today in Saratoga County left the mother panting (birds don’t sweat), but she hung in there, shading the young and the remaining egg, only getting occasional relief from dad. I spoke to Andrea at about eight this evening and she was happy to report that two of the killfawns are up and about, being watched over by dad while mom continues to sit on the last egg and the so-far-immobile youngster. 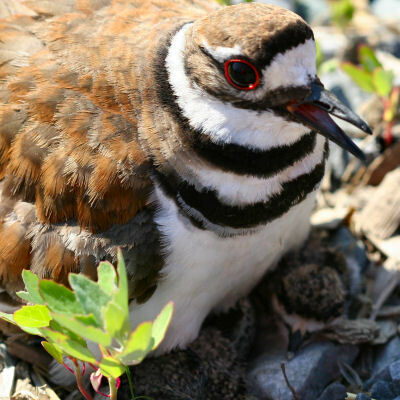 And speaking of being up and running, the posts from lovely dark and deep were (mostly smoothly) transferred over here, so if you want to see the Killdeer on its nest before the eggs hatched click here. It must be good sign that the eggs hatched on the day the new multi-contributer 10,000 Birds debuted, no? Finally, I would like to point out that neither I nor anyone else affiliated with 10,000 Birds believe in disturbing nesting birds. 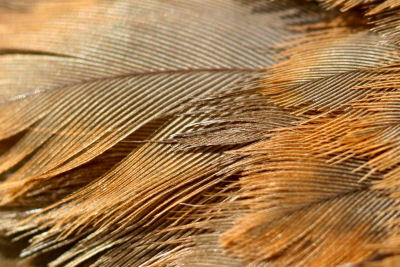 It’s hard enough for birds to successfully reproduce without adding human nest disturbance to the list of difficulties that need to be overcome. This nest was a rare situation where the birds chose to nest on a driveway in the midst of a major landscaping project. The fact that a large bulldozer was operating within six feet of the nest when the female was still laying indicated to me that this bird was not easily disturbed, and the homeowners’ near-constant presence convinced me that this nest could be photographed at close range without risk. Nonetheless, I limited the time spent photographing the nest and would discourage others from approaching a nest so closely, at least until you see how the birds react to a bulldozer! Remember, the birds come first! Killfawns? Is that a real term? It’s a good one. Credit Monarch for the term. I heard it from him. @baylee: return the egg to where you found it. Taking an egg is against federal law and is just plain wrong. Baylee, Please return the egg. It was probably the first of the four! I have a killdeer nesting in front of my house. I had no idea that there was a bird that nests in stones so Googled it and just discovered what it is. I am fascinated by this bird and the fact that it nests on the ground. My son-in-law touched one of the eggs because he didn’t know what they were and I was afraid that the mother bird would not touch the egg but she came back and is nesting now. Nature is wonderful! 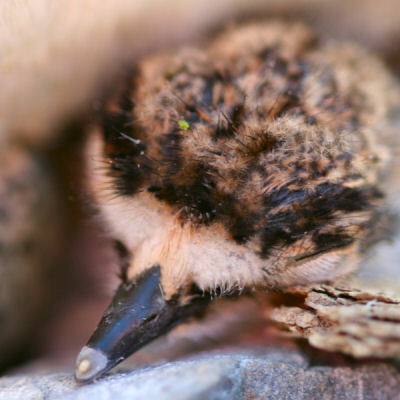 I know this post is a few years old, but I have to say “awwwww!” I just love baby killdeer. This year, I have experienced or heard a lot of stories about being wrecked by bad weather, predators, or accidental destruction. I’m glad to see that yours hatched. Could anyone tell me how long is the nesting period before the birds hatch? I have one who has been sitting on a nest at least 7-10 days. @Barb: Typically a bit less then four weeks. I think I saw a pair of these in Webster in the Target parking lot. One of them was running back and forth the main entrance road between Target and Moe’s. The bird would run to the storm drain and stand there and then run back. He/she had enough sense to get out of the road when the cars were coming and look before he/she ran across. I checked the drain and could not see anything in it but thought I heard something. Could they be nesting in there? @k: It seems highly unlikely, but perhaps a young Killdeer fell in the storm drain? Where Are You Birding This Second Weekend of April 2017?